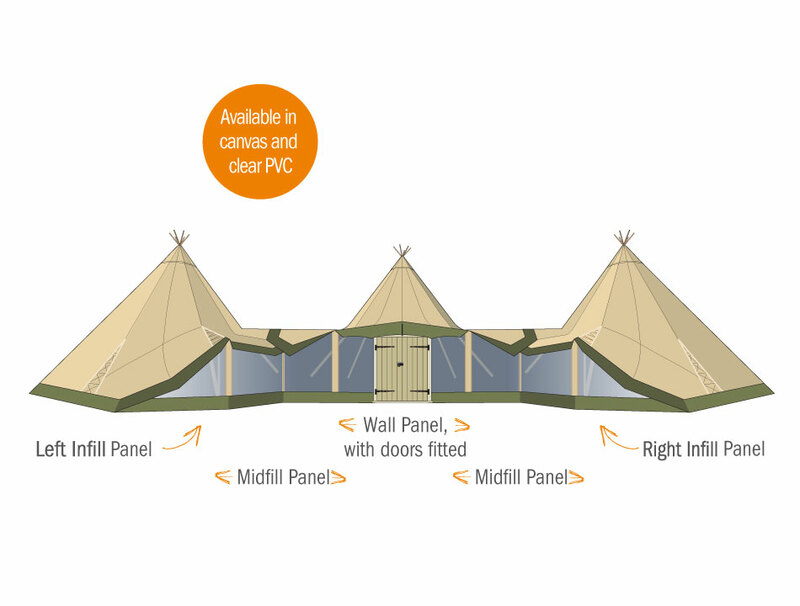 WallFlex is a modular system of walls and wooden doors that can be combined in different ways to create dozens of different effects on single and linked Stratus tents. Re-using the same components in different ways, WallFlex is flexible, easy to build and maximises return on investment. Choose between canvas walls or clear windows to create the effect you wish. 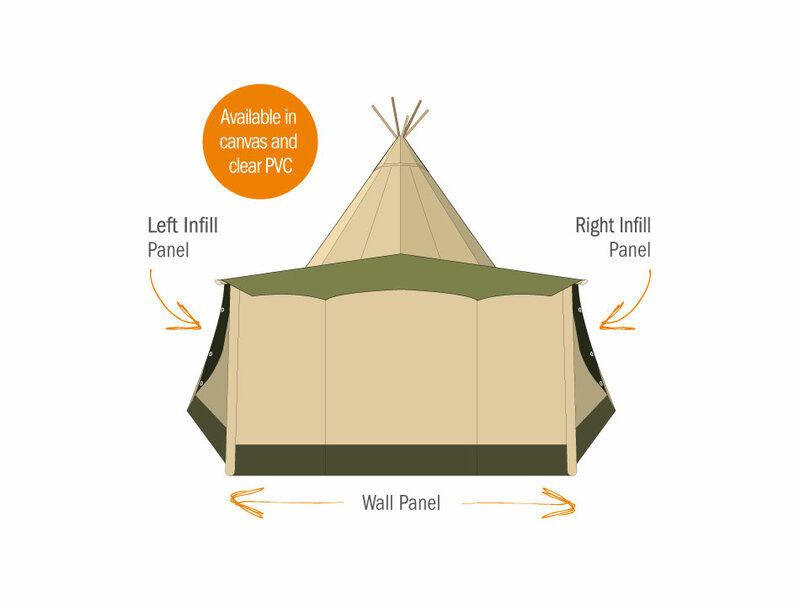 Cover the front of linked Stratus with "sides up"
Available in canvas and clear PVC, a single wall works brilliantly for a bar or stage, as a reception area, or to give more room for seating. With the roll-up panel open it's an informal guest entrance too. Using the extra space offered by a canvas Wall and canvas Infill Panels to house a bar. 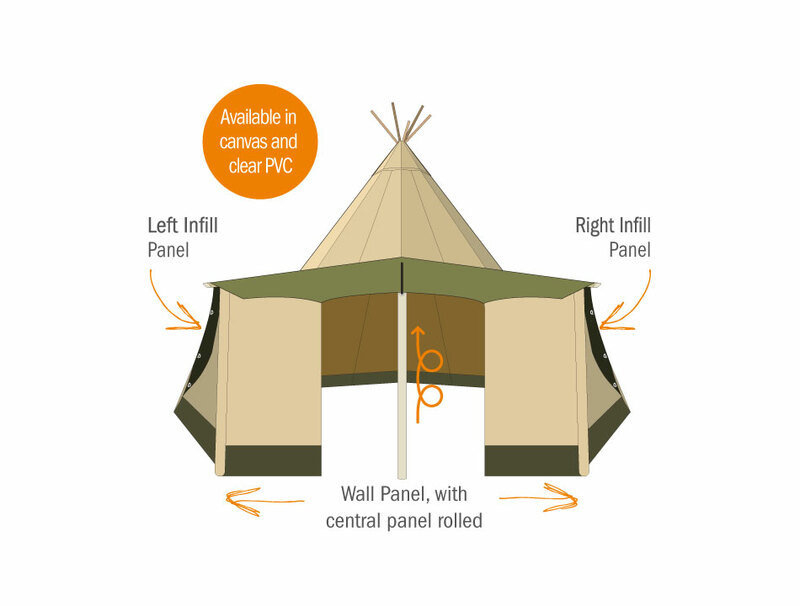 Canvas Wall with roll-up panel open, for an informal guest entrance. Clear PVC Wall with clear PVC Infill Panels. Transform a simple Wall into an impressive guest entrance by adding double oak wooden doors. Beautiful, robust and built to last. All the same canvases, polework, straps and stakes for the Wall are re-used - there's no need for any other bits... just add the doors. If you'd prefer to build your own doors, we can provide the plans. Wooden doors fitted to clear PVC Wall, with clear PVC Infill Panels. Wooden doors fitted to canvas Wall with canvas Infill Panels. Reuse the Infill Panels and Wall Panel to form a wall, informal "roll up" entrance, or impressive wooden doors. Available in canvas and clear PVC. Because WallFlex is modular, you can link the different components in many different ways. 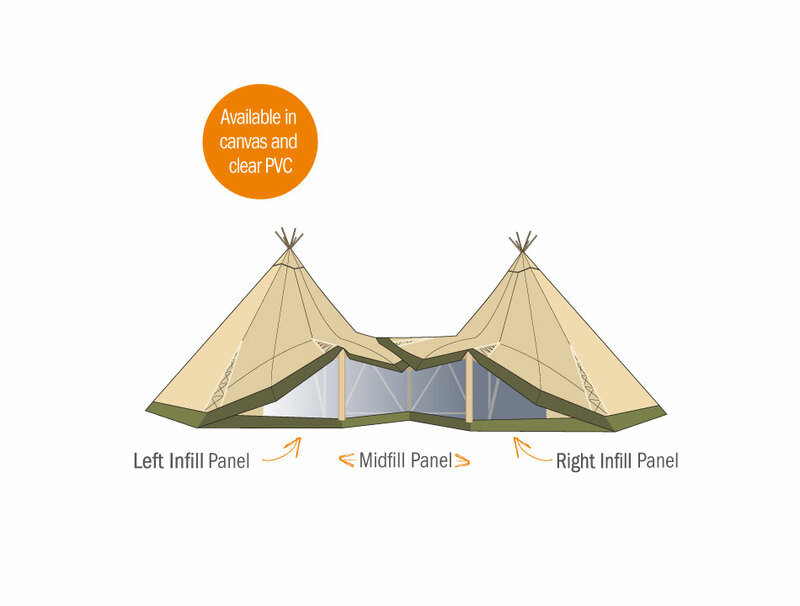 A Stratus with all its sides raised can be fully enclosed with any combination of clear PVC and canvas Walls. 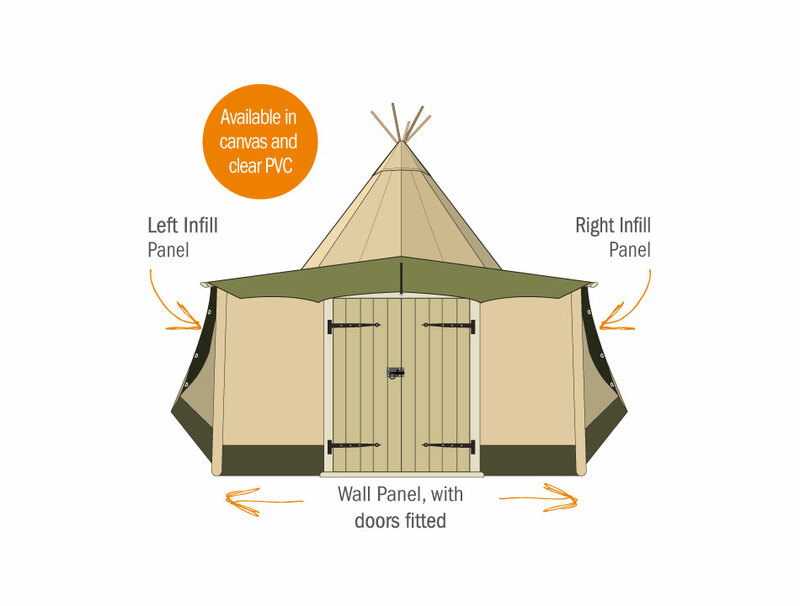 The open front of 3 Stratus in an arc can have clear PVC Walls and wooden doors fitted. And so on.